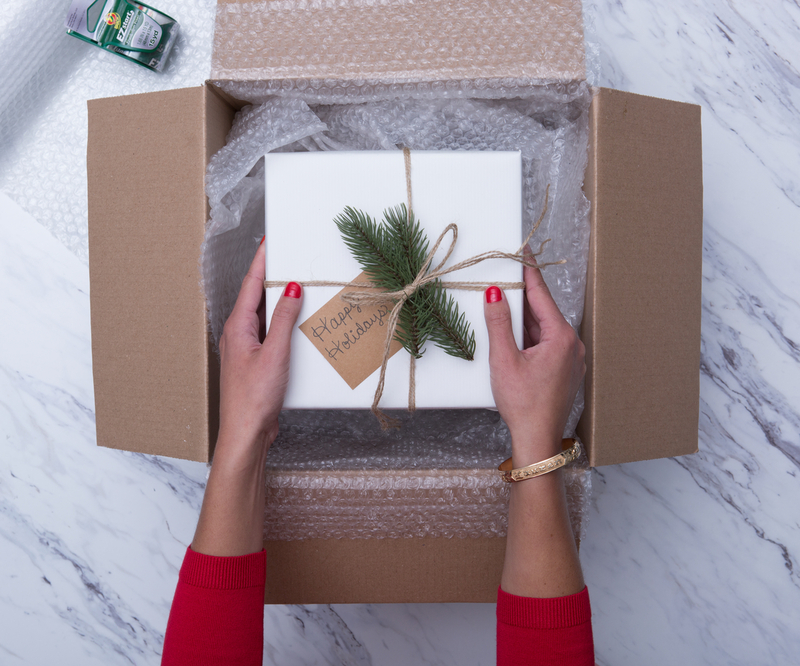 Many of us send holiday treats to friends and family through the mail, but if they are in countries other than the United States, getting those parcels of good cheer to their intended recipients can be tricky. Here are some tips for the confusing task of shipping items internationally. Who doesn’t love to open a box to find their favorite foods? From baked goods to holiday dishes, people go to great lengths to send a taste of home to those who are miles away. However, think twice before sending a batch of cookies or your famous Christmas casserole to distant lands. Generally, customs guidelines prohibit sending perishable goods. While some pre-packaged foods are acceptable, fresh food that can spoil is a no-no. Instead, consider sending copies of your secret recipes so your far-away friends can recreate their holiday favorites. And while we’re talking prohibited items, other items to avoid include cigars, lithium batteries, medical devices and medicine/drugs. When packaging up your gift box, be sure to use plenty of Bubble Wrap to cushion items in case of a rough journey. Also, the thickest part of your package should not exceed 108 inches. As for weight, international packages should weigh less than 70 pounds, so save the gift anvils for next time. Once you’ve packed and secured your items and sealed the box with heavy-duty packaging tape be sure to carefully label the box. For best results, print in capital letters, and don’t use and commas or periods. Need help with the address? Get specific instructions on international conventions and how to label your box. Next, you’ll need a customs form. On it, you’ll list the contents of the box, and detail their approximate value. More on this below. If your package weighs 13 oz or less, you can give it to your mail carrier or leave it in a USPS collection box. If it’s heavier, just take it to the retail counter of your post office, and they’ll help you. If you’re sending a gift to Dear Old Blighty, there are a few things you should know. First, be aware of the value of the gift you’re sending. If the items you’re shipping are each worth more than 34 GBP (about $43 as of November 2018), your recipient might get another unexpected surprise: A bill for VAT (value-added tax), a common tax in the UK and Europe. Also, if items in the box are worth more than 135 GBP (about $172 as of November 2018), the recipient might be forced to pay additional duty fees before the package will be delivered. Additionally, don’t pack items in any box or carton that was previously used to store fruit, vegetables or meat. As for packing material, stay away from natural products like straw and dried plant material. Use Bubble Wrap or Box Fill instead. Like the UK, your gifts from afar are welcome, but if they’re too valuable, the recipient could end up paying duties and taxes. Gifts valued at more than $60 CAD (about $45 as of November 2018) are subject to duty tax. Tobacco and alcoholic beverages are taxable at any value. Also, be sure to send your gifts directly from you to your loved one. It’s tempting to go online and have a gift sent via a third party on the internet, but if there’s a third party involved, it’s no longer considered a “gift” in Canada if it comes from a foreign source, and it’s therefore subject to taxation. If you want to order something online for your Canada-dwelling relative, shop on a Canadian website (the website will usually end in “.ca”) so the item originates within Canadian borders.